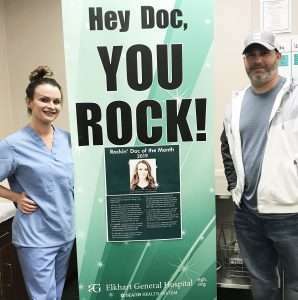 Congratulations to Dr. Emily Mitchell of Elkhart General Hospital for being a Doc Who Rocks! • Dr. Mitchell is a joy to work with. One day I called her multiple times about a patient and she always responded promptly, compassionately and professionally. 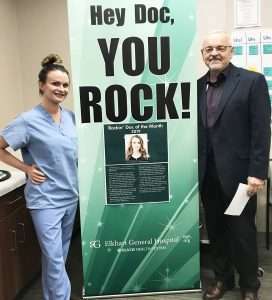 • Dr. Mitchell is not only awesome with her patients, she is supportive of the nurses who care for her patients, too. • The exceptional care of patients is Dr. Mitchell’s number one priority. She comes into the operating room before procedures to ensure the staff has everything she may need and to answer any questions. She often helps move and position patients. • Dr. Mitchell initiates conversation with staff to get to know them and make them feel at ease. She is truly compassionate — I worked really late with her one evening and she did everything she could to help me get out early so I could get some sleep. Thank you for your compassionate patient care and your commitment to your team, Dr. Mitchell! 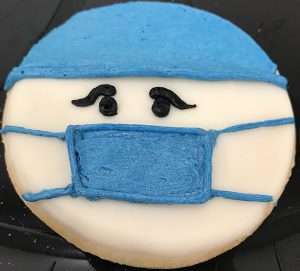 You’re a Rockin’ Doc!